Buy for yourself and for your friends! Black Friday happens only once a year, don’t miss it! Spring is high time for you to get rid of face wrinkles! Even your best face cream for wrinkles should go to the trash bin! Spring is a season of super smooth and super radiant skin, so your face wrinkles treatment should be very special! This kind of treatment cannot be ensured by anti-aging creams or serums while anti-aging tissue face masks will solve this problem very easily! Tissue masks are much better than any other anti-aging cosmetic product in terms of transportation of active anti-aging components deeply into your skin. Tissue blocks these active components from evaporation, so all their molecules go directly to skin. As a result, tissue face masks MOISTURIZE your skin better. By better we mean that they moisturize even the deepest skin layers and without deep moisturizing wrinkle treatment is impossible. As for treatment itself, it can be done by two ways, namely, wrinkle filling from inside out and relaxing face muscles which leads to elimination of fine lines. For both these ways tissue face masks are the best instruments! Tissue face masks are perfect to convey fillers and relaxant into skin, so that they can cure your deep skin layers! Do you want to experience super effective wrinkle treatment y yourself? Do it right now, in spring, because nothing could be worse than to have wrinkled and dull skin in this wonderful season when everything is blooming! 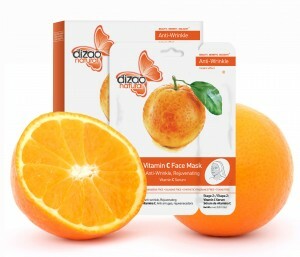 So, do not waste time, choose on of Dizao tissue face masks and go ahead! Are you a great fan of nails art design but new nail art ideas fail you? Hurry up to order Flash Jewels by Dizao Tattoo! Flash Jewels work not only as wonderful accessories for your body, face and hair, replacing various bracelets, necklaces, rings and earrings, but they also can be part of nails art design. Dizao Flash Jewels look like shiny reflectors on your nails and look very gorgeous on you nails! They catch light, mirror it and transform it into splendor and luxury! All you need is to cut out the tattoo, put it face down on the dry skin and hold a wet cotton pad against it for about 30 seconds, peel the paper aside and dry the nail and cover it with transparent nail polish. Easy? Super easy! Just be creative when choosing a design and pairing different tattoos! Dizao Flash Tattoos came into 4 different sets and each of them has tattoos which are suitable for nails. Try them all for your nail ideas! Get inspired by glitter of Dizao Flash Jewels and realize your inspiration by contriving creative nail design! Dizao Flash Jewels are always there to give you the best nail design ideas and when your nails become totally Instagram-worthy do not forget to share their photos on our Instagram – Flash-Jewels ! Forget about winter with Dizao temporary gold tattoos! Are you tired of a dull winter which goes without parties, festivals and relaxation on the beach? Do you want to shine in winter as you do in summer? 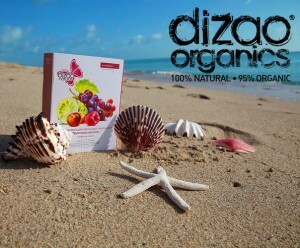 Dizao Tattoos will help you to rediscover your inner summer! Flash Jewels by Dizao Tattoos are temporary tattoos with wonderful designs which are great for women of all ages and go with any style. Flash Jewels by Dizao Tattoos do not provoke irritation so that they can function as kids tattoos. Dizao temporary tattoo designs reflect the atmosphere of endless summer and limitless happiness so that they can make you forget about the coldest winter. Surely, in winter, it is much more difficult to match temporary gold tattoos to your clothes and other accessories because the vast part of your skin is not seen. But good taste and phantasy will help you to decorate you neck and hands, nails or even hair. Be creative and metallic temporary tattoos even in winter can make your look more fashionable and stylish. Enjoy summer even in winter with Flash Jewels by Dizao Tattoos! Are you ready to loose your lashes to wear fake ones? When your own lashes look thin and short, false lashes seem to be the only life buyout which can save your beauty. We think that we can choose the best fake eyelashes, apply them and get wonderful long and thick lashes in a few minutes. But the truth is that even the best eyelash extensions do not make your natural lashes longer or thicker, they also do not provoke eyelash growth. But the worse thing is that instead of boosting eyelashes growth they cause loosing of eyelashes. Even if you are extra vigilant about applying fake lashes, carefully choose lashes itself and glue, there are all chances that they can cause damage, irritation and breakage of your natural lashes. If you want to have the best eyelashes, the easiest and the safest way is to take care of them in a proper way by applying special natural oils and butter. To make this care routine easier we created Dizao mascara which takes care of your lashes and boosts natural eyelash growth. Dizao mascara is a collection of oils and natural powders which coat your lashes curing them. 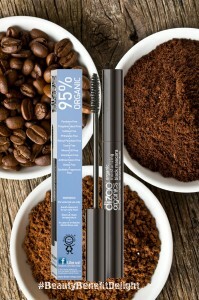 With Dizao mascara you do not need to use fake lashes and put your natural ones under risk. Do not fake your beauty, get real one with Dizao! Each woman is beautiful but not all of us are ready to understand it. Minor defects such as acne or wrinkles, prevent us from considering our skin as beautiful skin. But it is beautiful. You do not need to hide your skin under layers of makeup or feel ashamed of it. Your skin is beautiful because true beauty is something more than just appearance. However, if you still worry about those minor defects which are mentioned above, wipe them away from your face to go even beyond your regular perfection. Forget about foundations and powders. You skin should BE perfect, not to SEEM perfect. Unfortunately, foundations and powders clog pores, dry skin, as a result, breakouts and wrinkles are inevitable. Apply hydrating face masks to moisturize your skin on daily basis. Any other cosmetic procedure can be skipped but neglecting skin hydration will strip your skin of elasticity and young look. Analyze you skin needs and choose the right cosmetic product which will meet them. There is nothing bad in using peelings to make your skin softer, anti-aging cosmetics to eliminate wrinkles and anti-inflammatory products to treat acne. However, all beauty tips for skin will be useless if you do not accept yourself and do not feel your beauty. Only when you consider yourself beautiful, you glow with beauty and make other people consider your beautiful as well. Skin care in winter should be different from skin care in any other season. Especially, when it comes to dry skin. To help you to master it, we prepare a number of dry skin care tips in winter! -Apply moisturizing face cream at least 15 minutes before you go out, not later. Otherwise, it will not have enough time to dry out and in combination with cold and weather can cause chapped skin. 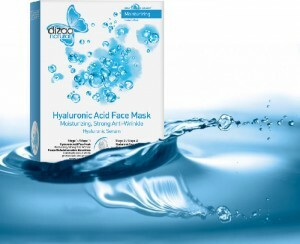 - Apply hydrating face masks as often as you can. When even the best cream for dry skin cannot rescue your dry skin, masks will do their best to restore your skin balance. Tissue face masks are the best to deliver water to your skin. -Cucumbers, sour cream, avocado, aloe – all these and other ingredients will help you to prepare a hydrating face mask yourself. Use them together or separately to bring more moisture to your skin! -Revise your decorative cosmetics. All drying products should be sent to the trash bin. Avoid thick foundations. -Stop using cold and hot water to wash your face. Warm water is that what you need in winter! -Consume food or supplements which contain fatty acids. They will help to improve your metabolism and to have better skin. Drinking more water is also essential. -Do not apply too much scrubs. It is even better to ditch them forever and use chemical exfoliators on the basis of fruit acids. -Use only natural cosmetics. Cosmetics with chemicals and artificial conservatives will cause even stronger dehydration. Do you have your own dry skin tips for winter? Share them in comments or on our Facebook page! Flaky lips are not what we want this winter! Winters are wonderful except for those days when the weather is so freezing that it creates not only snowflakes falling from the sky but also flakes which appear on your lip skin. Those flakes are the worse. Caused by drying of the lip skin, they look unhealthy and not attractive. There are plenty of dry lips causes. Cold weather and overdried air, which are inevitable in winter, can be causes of dry lips. We can do nothing with winter but we can provide sufficient treatment for dry lips to banish this “snowfall” from our lips. Surely, dry lips treatment is a very complicated process. 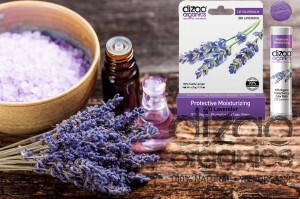 To make it more effective and pleasant, Dizao created 11 unique lip balms. Which one of them is better for you? It depends on what causes dry lips in your case, type of your lip skin and how much of hydration your lips need. Dizao offers you to indulge yourself with wonderful aroma of Dizao Strawberry Ice cream lip balm lip balm while moisturizing the lips. You also can fill your lip skin with ultimate revitalizing energy of Dizao Sea Buckthorn lip balm or ensure your lips additional protection with Dizao Babassu and shea Butter lip balm. Each Dizao lip balm is the best lip balm for chapped lips. If you want to say good-bye to flaky and crapped lips, go ahead and choose a lip balm which meet your needs and expectations! Sea buckthorn is one of the most beneficial plants on our planet. It’s small orange berries are like small suns which does not produce radiance but make your skin radiant instead. These small suns are always ready to shine and give your skin unbelievable beauty and health. The list of sea buckthorn benefits in terms of lip care is very vast. When reaches your lip skin, sea buckthorn stars to work wonders immediately. Sea buckthorn can be brought to your lips in different forms, but sea buckthorn oil is definitely the best one. Sea buckthorn oil benefits are comparable with benefits of application of the fresh berries and even exceed them. The main benefit is the ability of sea buckthorn oil to replenish the skin by stimulation of the regenerative processes. It also works as a perfect protector from free radicals and harmful UV-radiation. When applied on the lips sea buckthorn oil creates the shied which covers lips and prevents free radicals and harmful UV-radiation from making your lips older and drying them out. Organic sea buckthorn oil is also a perfect lip moisturizer. Drop by drop this organic oil penetrates deeply in your lip skin to restore its moisture balance. Softening, tonic and nourishing effects are also provided by ea buckthorn oil. We carefully developed the formula of Dizao Sea Buckthorn lip balm in which we helped sea buckthorn benefits to do its best. 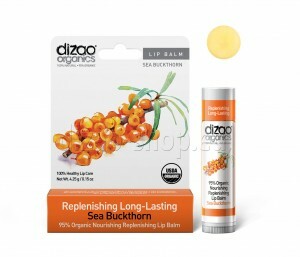 Let the orange suns of sea buckthorn berries shine for your lip skin, try Dizao Sea Buckthorn lip balm! 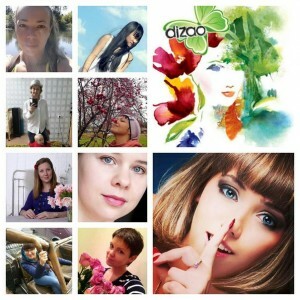 Help us to choose a winner of #Dizao_Beauty contest! We want are very happy to receive so many wonderful photos of our participants! But abundance of beautiful photos made it almost impossible to choose a winner! You can vote on on Dizao Facebook page!